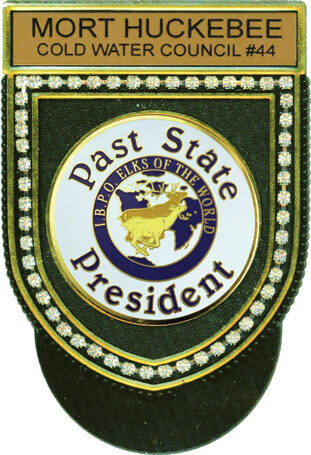 Black fold over pocket badge w/ 2" P.S.P. emblem. Plus rhinestone border around edge. Enter custom lettering instructions in the box provided. Be sure to select separate item ENG-LET-F to add cost of engraving.